Made from breathable polypropylene. Soft, flexible and extremely comfortable. Front zip closure with hood. Ideal for use against dirt and non hazardous dust and liquids. 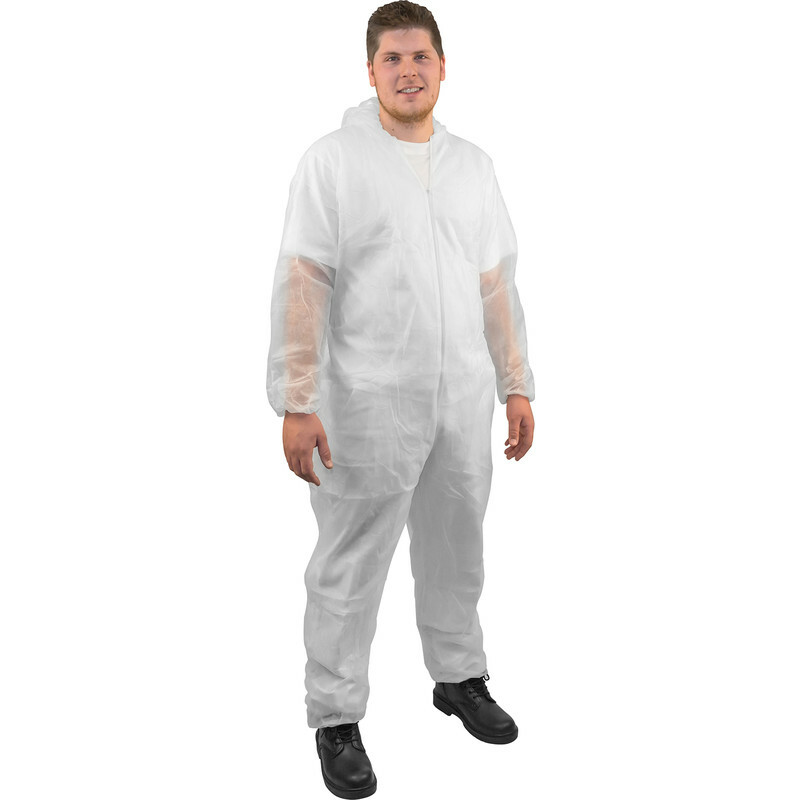 Disposable Hooded Coverall X Large is rated 3.9 out of 5 by 24. Rated 5 out of 5 by Dedge from More than I expected of the purchase proved to be strong and comfortable, exceptional value and was resistant to loft insulation. Rated 4 out of 5 by Handy Andy 25 from So convenient Probably cheaper than cost and hassle of washing overalls. Rated 5 out of 5 by Anonymous from A good cheap solution for single use protection For the price, this was good value and lasted me several days of use before one of the leg seams split and I snagged one of the arms. Remember, it is a disposable item.